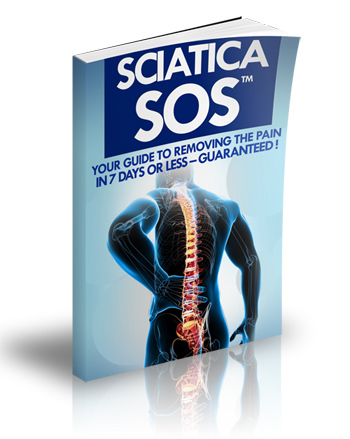 There are six typical causes of Sciatica. Spondylolisthesis is usually found at birth, early childhood or acquired from physical trauma such as weightlifting. It is a disorder that most often affects the lumbar spine. Spondylolisthesis is characterized by one vertebra slipping forward over an adjacent vertebra. Often sciatic leg pain is caused when a nerve root compresses due to the vertebra being displaced and slipping. Due to the lack of MRI or x-ray findings, it may be difficult to diagnose and treat piriformis syndrome. The piriformis muscle connects to the thighbone, assists in hip rotation and is located in the lower part of the spine. When muscle spasms develop in the piriformis muscle thereby compressing the sciatic nerve, Piriformis syndrome develops. The sciatic nerve runs beneath the piriformis muscle. Piriformis syndrome is named for the piriformis muscle and the pain caused when the muscle irritates the sciatic nerve. When the nucleus breaks through the annulus a herniated disc occurs. It is called a ‘non-contained’ disc disorder. A bulging disc is also known as a contained disc disorder. This means the nucleus pulposus (gel-like center) remains ‘contained’ within the annulus fibrosus (tire-like outer wall) of the disc. Because a herniated disc is a non-contained disc disorder, the consequences of a herniated disc are worse. Whether a disc or herniates or bulges, disc material can press against an adjacent nerve root and compress delicate nerve tissue and cause sciatica. Irritation and nerve compression cause pain and inflammation often leading to extremity tingling, muscle weakness and numbness. The disc material itself also contains an acidic, chemical irritant (hyaluronic acid) that causes nerve inflammation. The herniated nucleus causes direct compression of the nerve root against the interior of the bony spinal canal. The condition of spinal stenosis results in the spinal canal narrowing. The narrowing causes pressure on the spinal cord and spinal nerves. Common in patients over the age of 50 and with causes that are not clear, spinal stenosis has two different types frequently described. A common complaint of spinal stenosis patients is leg pain which gets worse with walking. Another complaint is back pain. Sitting and bending can sometimes alleviate these pains. Spinal stenosis related to age is the more commonly acquired form. This form of the stenosis condition may cause various spinal components to sag or bulge from arthritis. Discs, joints, and ligaments can be affected. These changes, which occur with age, can have the effect of narrowing the spinal canal and thus trigger spinal stenosis pain. Spinal tumors can be benign or malignant, but are fairly rare. They cause sciatica due to pressure on the disc. If you think you may be suffering from sciatica, be sure and contact your physician to get a proper diagnosis!